I have a decent amount of pics/info in my build thread. There is also a good thread under ronnin about the development and feedback from people. 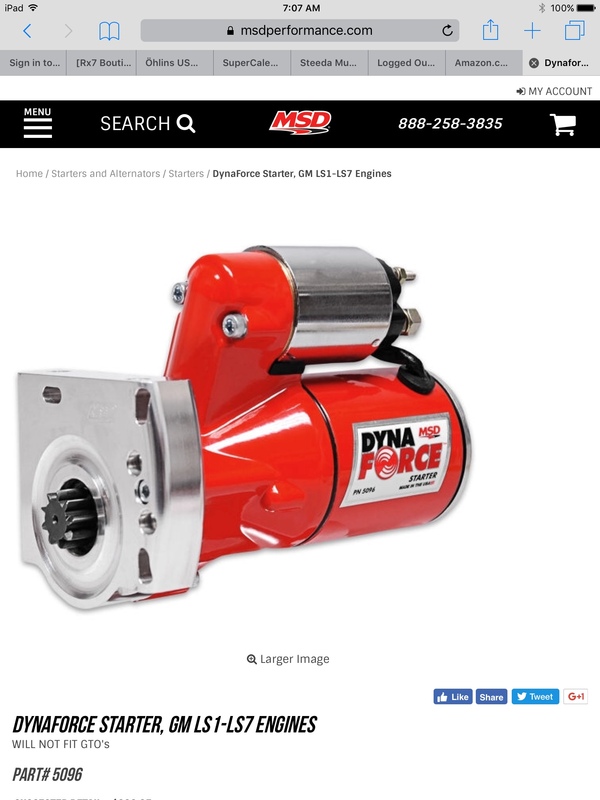 Care to share the part number of the msd starter?
" If you don't have time to do it right, when will you have time to do it over ? " You can get a 06+ Explorer carrier with 3.55s or 3.73s for between $200 and $250 on eBay. 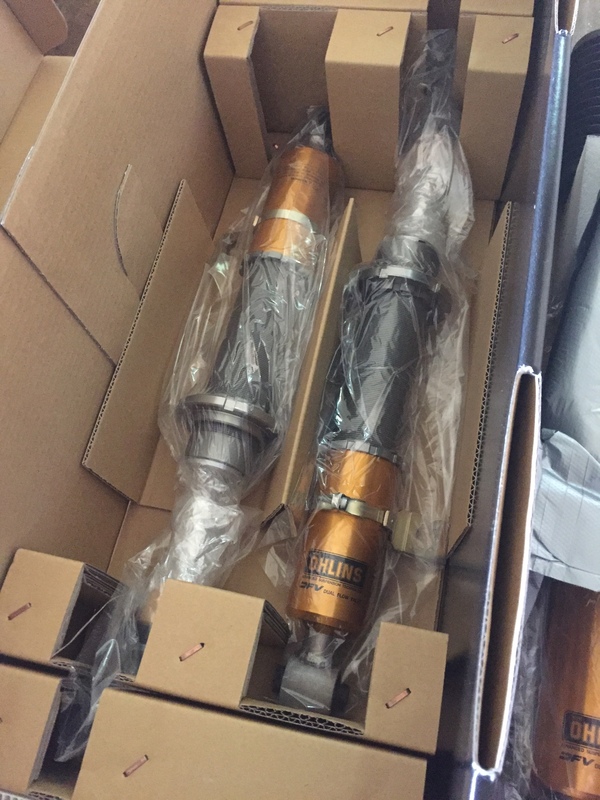 Also get some OE halfshafts, those are pretty cheap with some searching on eBay. 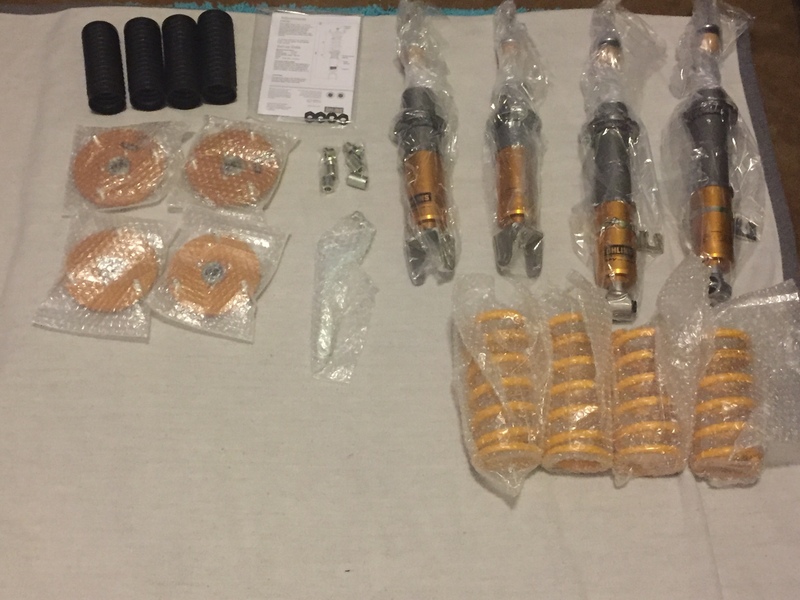 Carrier rebuild kit is $70 shipped, then you just need a diff because all the 06+ Explorers had open diffs. Expect to spend between $200 and $500 for a diff, depending on what type you want, and then get it all assembled. The driveshaft you have should work. Yes it is expensive but you can recoup a lot of your cost by selling the Cobra setup you have. Thanks for all the information! I am definitely going to have to wait because just found out my insurance isn't going to cover new Stucco that I need for my house. That will be $$$$. Wasn't planning on that expense. 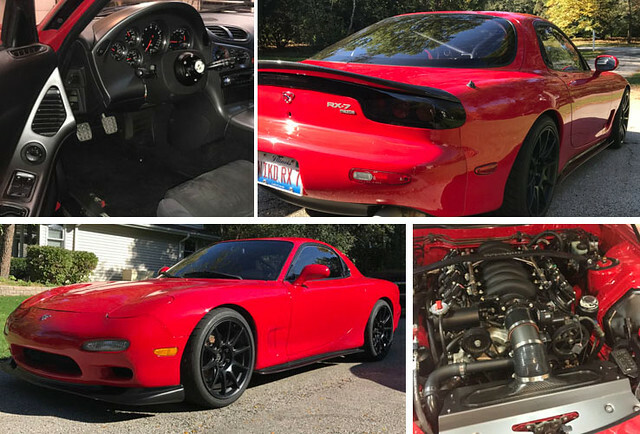 When I bought the car it was more than my top end of my Budget I had set for my toy car but I justified it because it was such a clean swap and I didn't think I would want/need to do anything for awhile. But of course there's always improvements to be made. As much as I want to do this right now it will have to wait. If I had a buyer lined up knowing how much I would get for my current setup I might start but for now I'm just going to have to live with it. I will let you in on a little secrete... these cars are never "done" and there will always be something that you want to change. I'm wondering why he didn't go with the Ronin Explorer 8.8 in the first place. But it's probably just fine for now, just noisy. Not that I had that assumption at all. I'm not the brightest star in the sky but my perfectionism gets the best of me, lol. I knew there would be stuff to do but didn't realize I would have the urge so soon. It will be ok for the time being but hopefully by this time next year I'll have your setup! 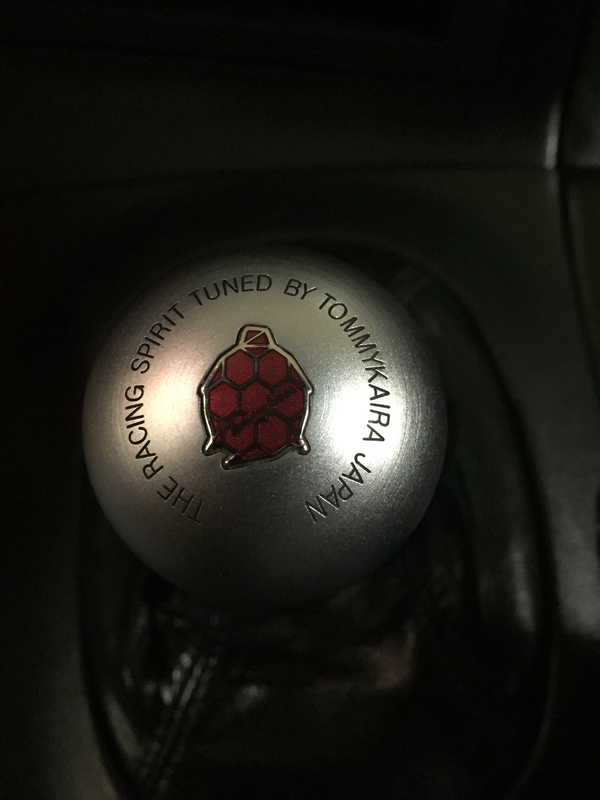 When I decided to sell my 40th Anniversary 370Z there was one piece I wanted to keep, my original Tommy Kaira shift knob. My 370Z was the first "Sports Car" I was able to purchase and it will always have that special meaning. 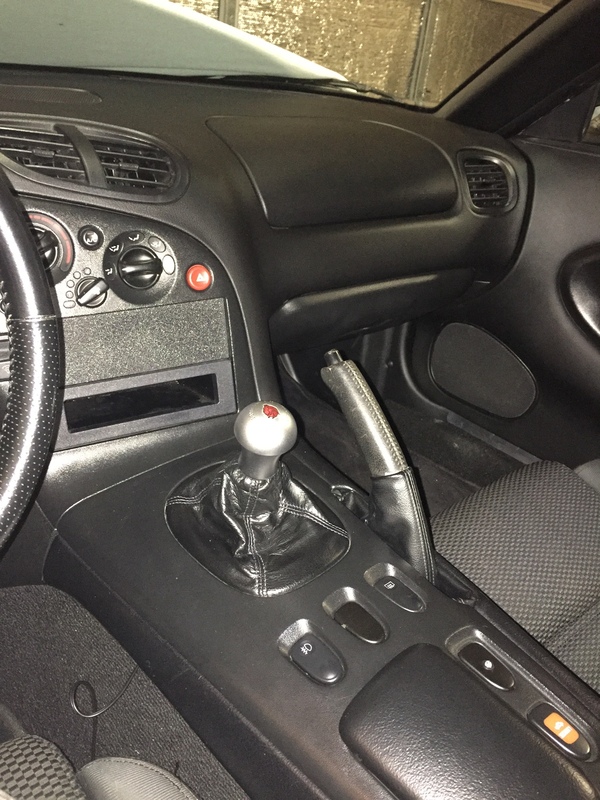 The shift knob was a rare JDM piece and on top of me loving the ergonomics of it, it's a reminder of my first "sports car" and more than just a picture I can hold on to. 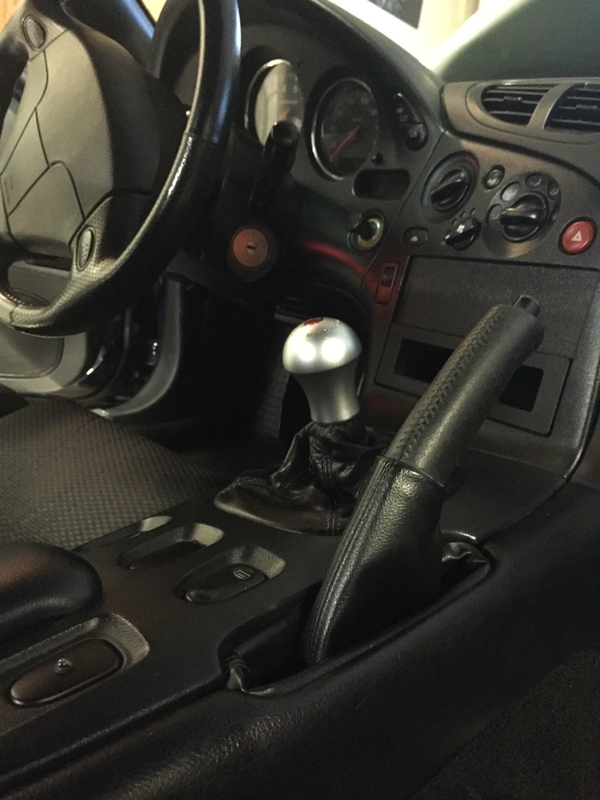 I wanted to keep the original shift handle that fits the Cobra shift knob in tact but that ended up not being an option. 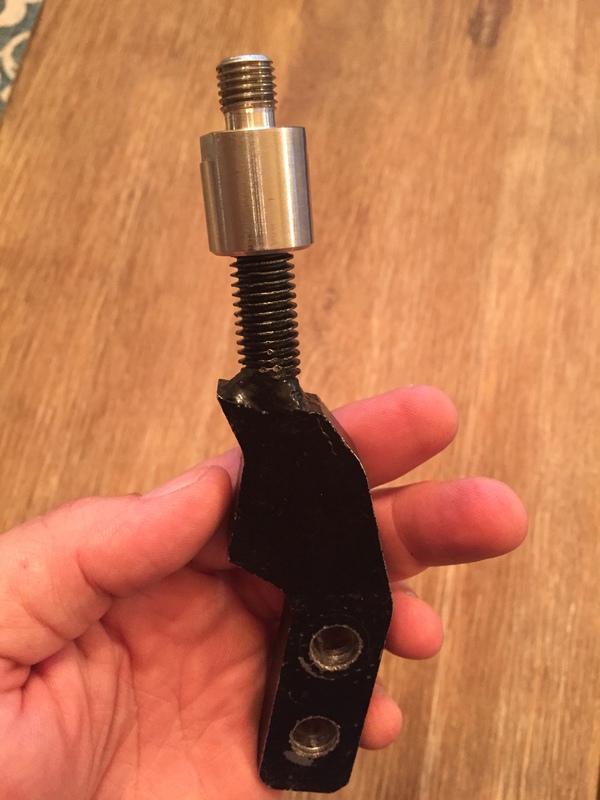 A friend of mine from church is a machinist and offered to try and make me an adapter so I let him give it a shot. The first try was ok but didn't work for 2 reasons. 1. It sat too high for me. 2. The turtle didn't sit straight when tightened and my OCD couldn't take it. 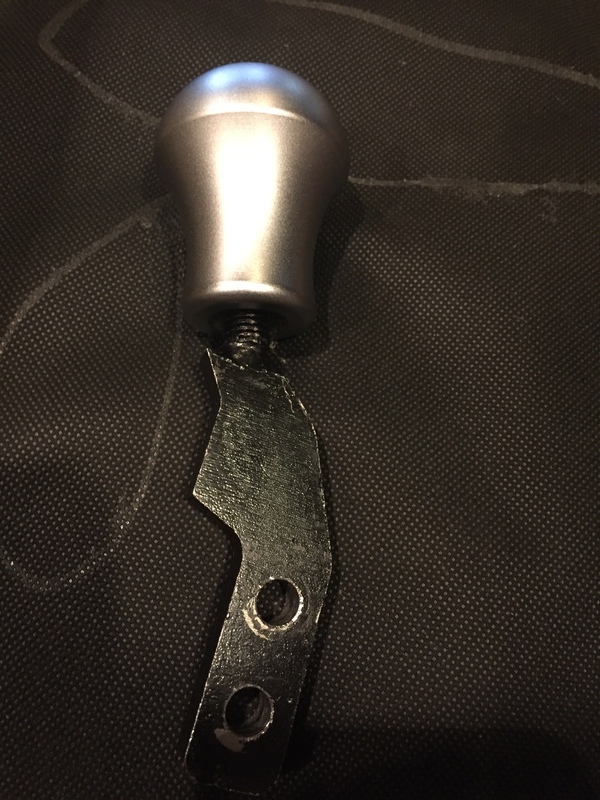 I told him just to cut the handle down and I'd worry about dealing with the Cobra knob not sitting right later. Here's the result. It's amazing to me how something so small can make such a huge difference. I have a few more things in the works and can't wait for those improvements as well! 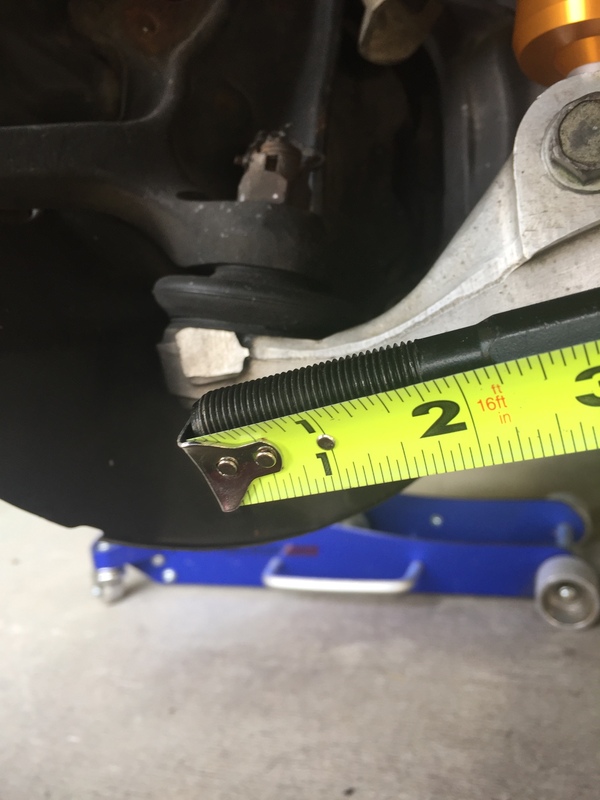 When I purchased the car I knew right away something needed to be done about the cars height. It was too low for the roads in Louisiana. 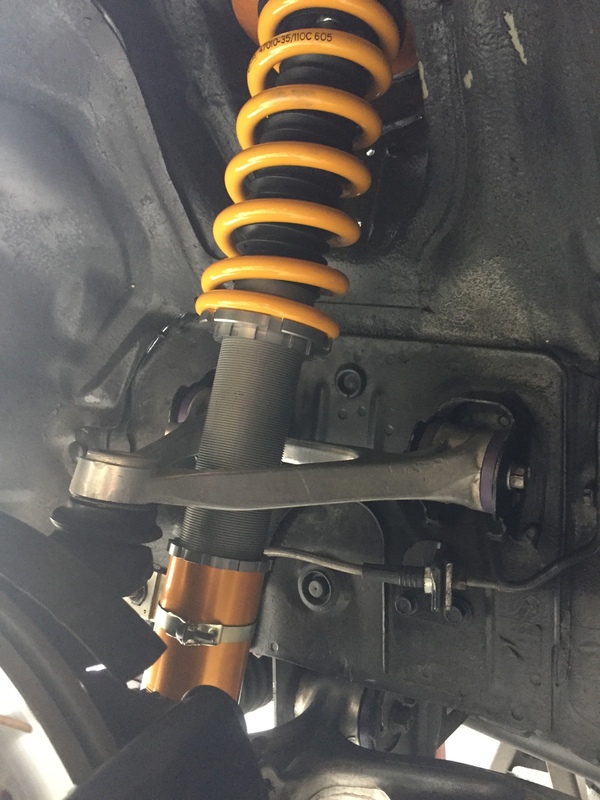 The car had Apexi adjustable shocks with Eibach Pro Kit Springs and were on the lowest ride height setting. 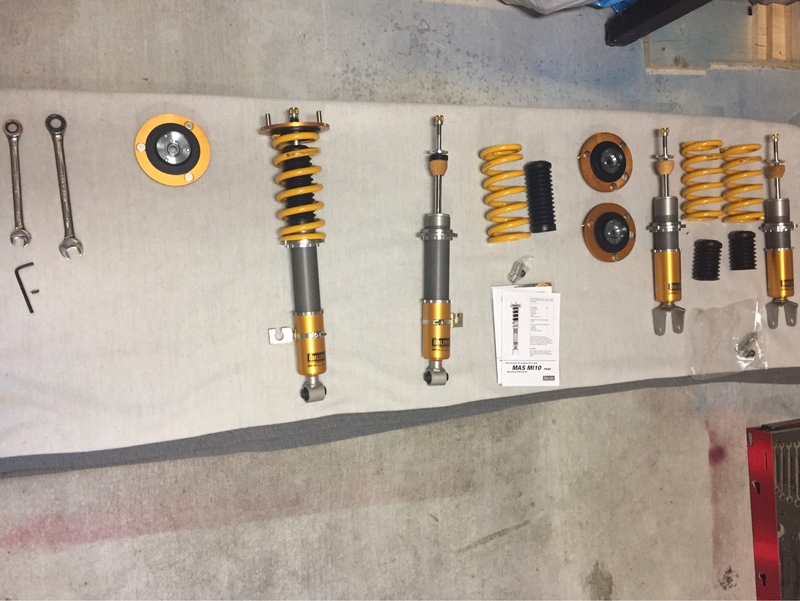 I could have saved money and just raised the car on that setup and been ok BUT, in keeping with the quality of the build and the rest of the car I knew I wanted Coilovers. 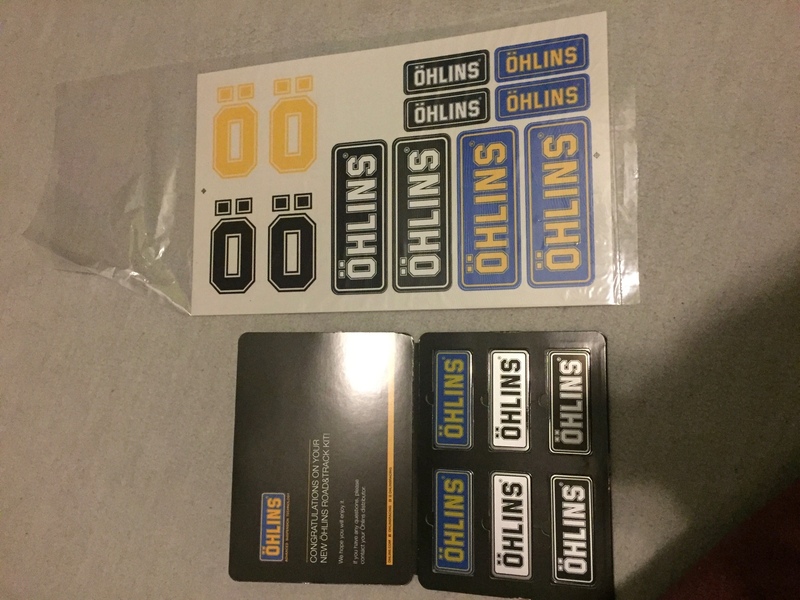 I was going to go with Stance Coilovers and Swift Springs but after much research and advice from other members I went with Ohlins. I'd like to thank Kevin and Michael at Improved Racing for hooking me up! There are 2 different size spacers and the directions didn't say what spacer belonged on the front or back coilover. 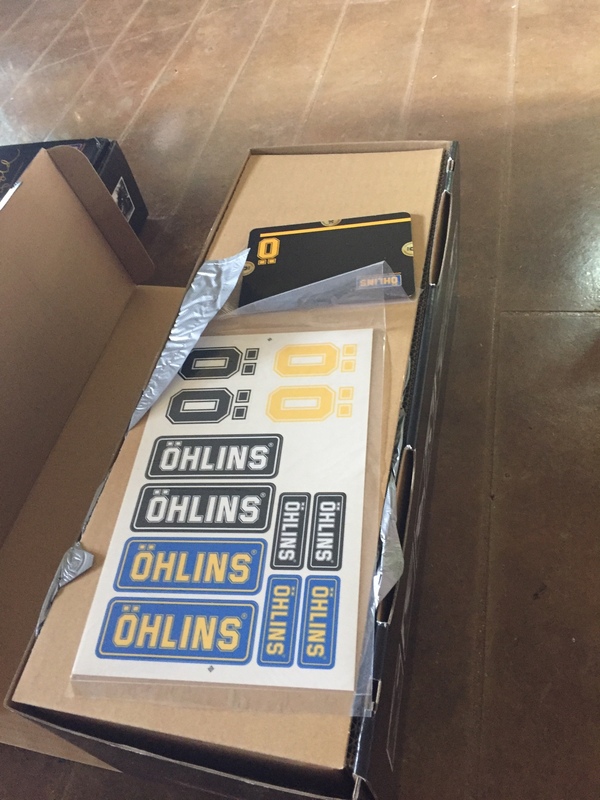 Ohlins said that is a complaint and they are trying to get that updated. 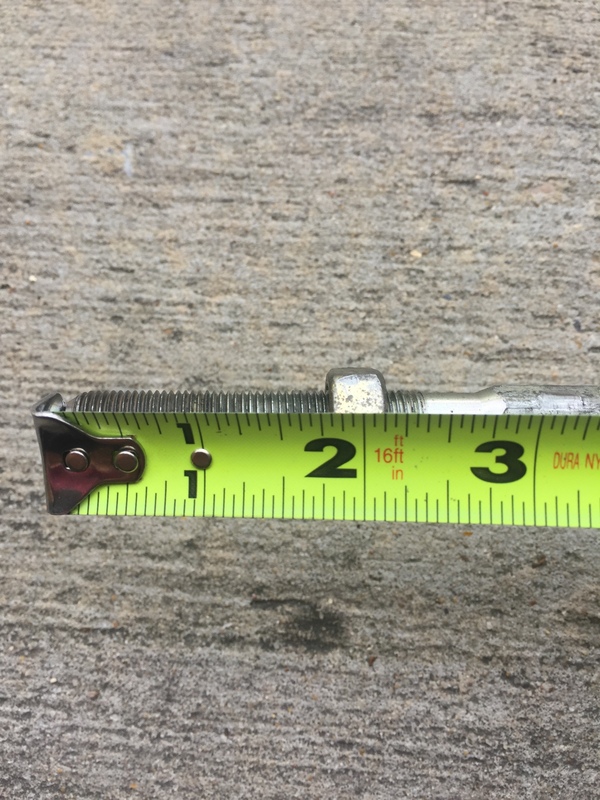 Long Spacer belongs on the Front, Shorter Spacer belongs on the Rear. I am very impressed with the ride! I raised the car about 1/2" and the Ohlins make the ride feel like a Cadillac compared to the Apexi's with Eibachs. Not that they were bad but there is a significant improvement in ride quality. I knew I wanted to improve the steering. The steering was very stiff. I'm not a very small guy and it took a significant effort to turn. Previous owner had de-powered the rack himself. While he did a great job, it was still very stiff. I like manual steering so I wanted to maintain that aspect, just improve on what the car had. 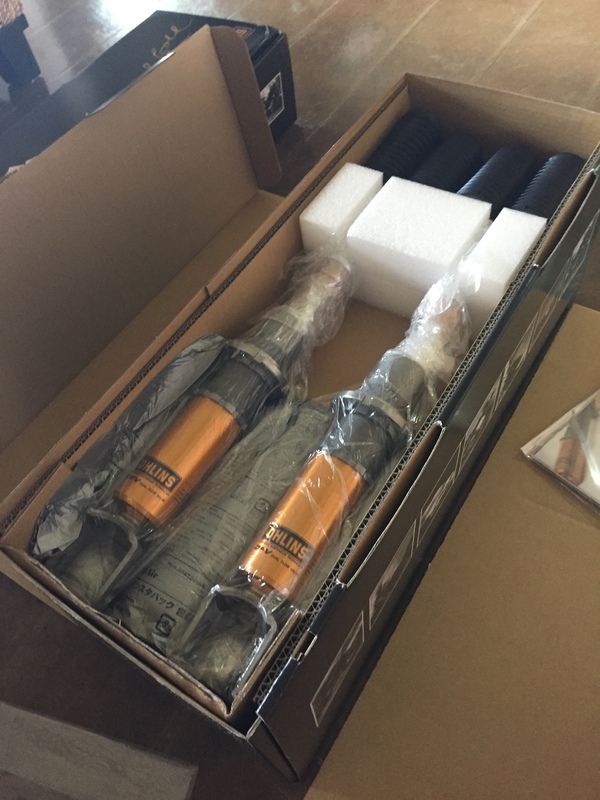 I chose to go with a proper de-powered steering rack from Chips Motorsports. 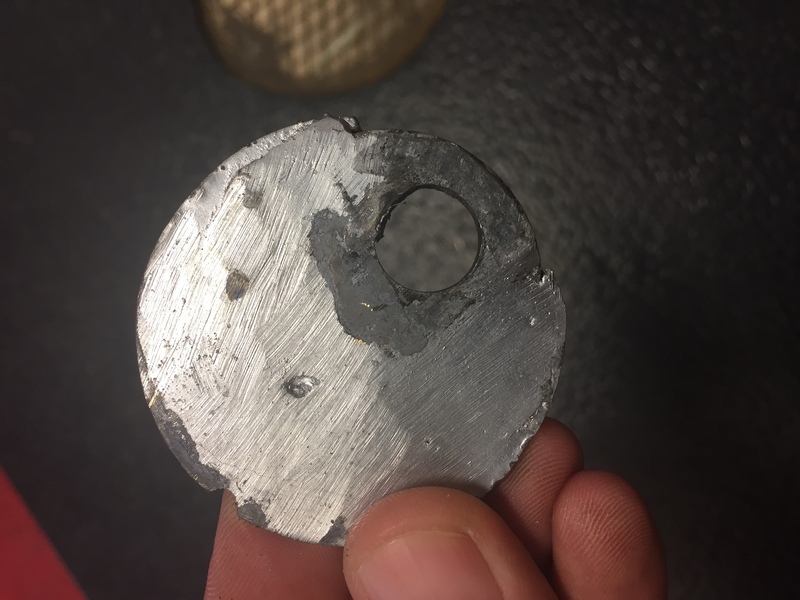 He needed a core though. Thanks to my friend Colt (Vladthesmiter), my down time was just for the install. 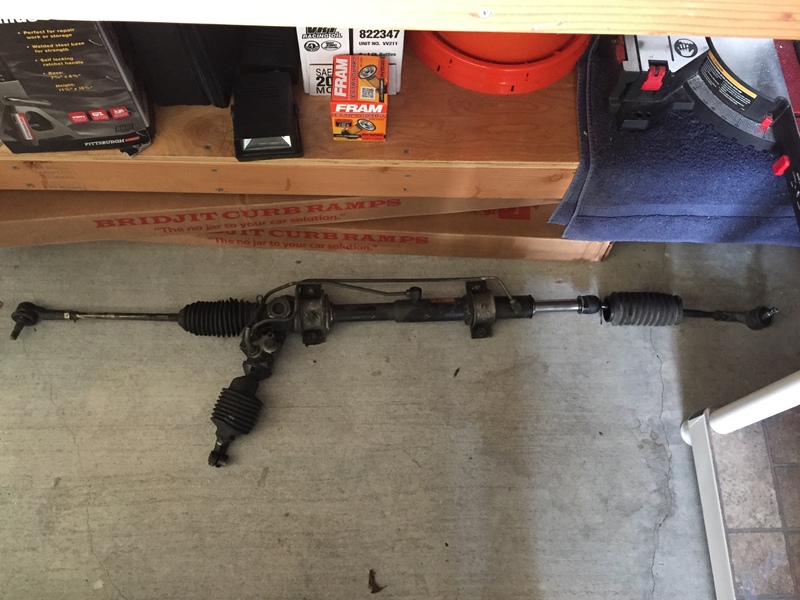 Colt let me send one of his extra steering racks off to Chips Motorsports so I could keep my car intact while Chip did his work. I just had to give my rack to Colt once the install was done. Thank you Sir! Turnaround time from Chip was about 3 weeks total including the shipping to and from. I highly recommend him. My friend Brian pretty much did the install with my assistance. 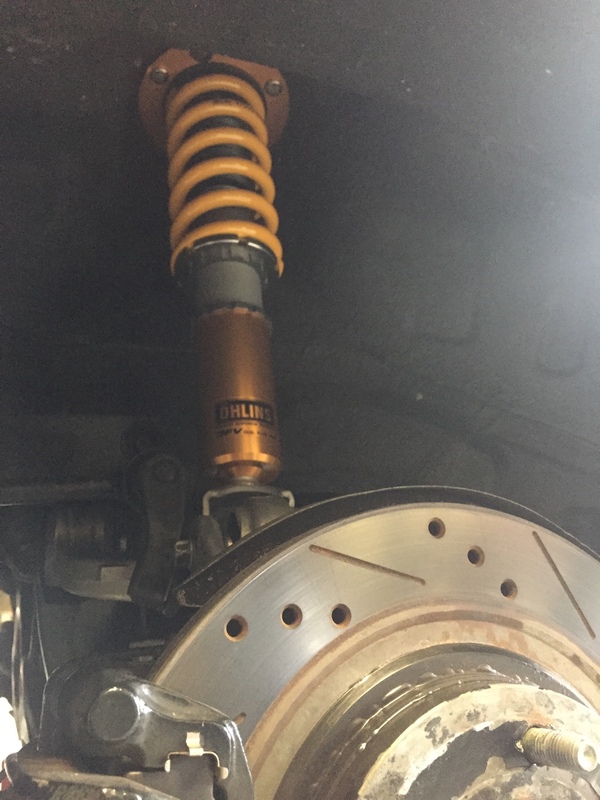 He also helped on the Coilovers. Did the Steering Rack install 2 different times. First time rack wasn't centered, here's why. My car had Pillowball Tie Rods. 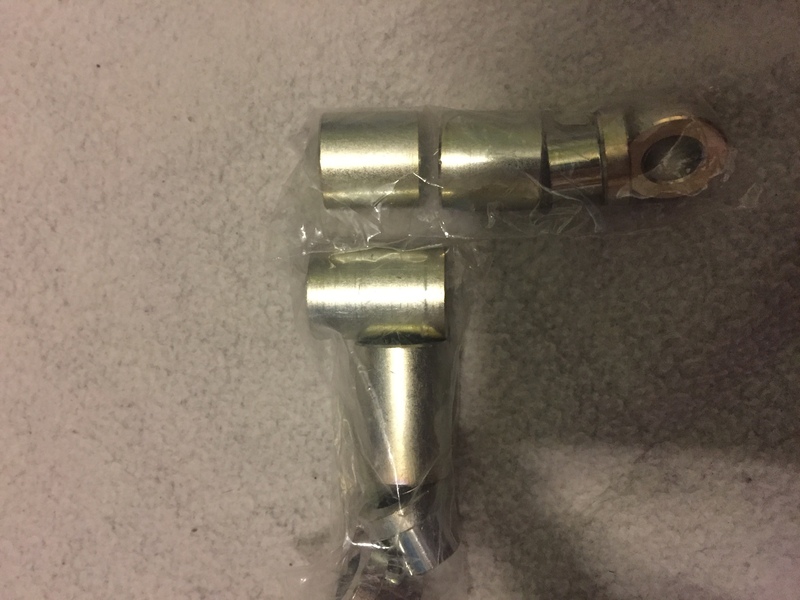 Chip sends OEM style Tie Rods. I wanted to use the Pillowball Tie Rods but on the first install we couldn't get the Pillowball Tie Rods to work. So we ended up going with the OEM Style new ones. Problem was we got the rack off center during the Tie Rod dilemma and didn't realize it. Found out after first alignment. The reason we couldn't get the Pillowball Tie Rods to work was because they ran out of adjustment on the Passenger side. After doing some research I found out that other people's racks weren't perfectly centered from the factory. 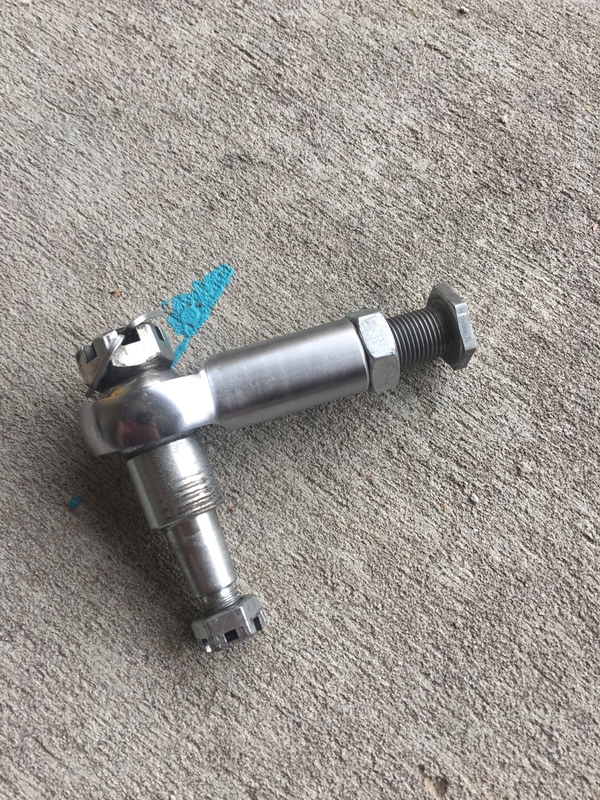 I couldn't figure out why my old rack worked with the Pillowball Outer Tie Rods but not the one I received from Chips Motorsports. So we got the rack centered and I took some measurements of the Inner Tie Rods. See pics. 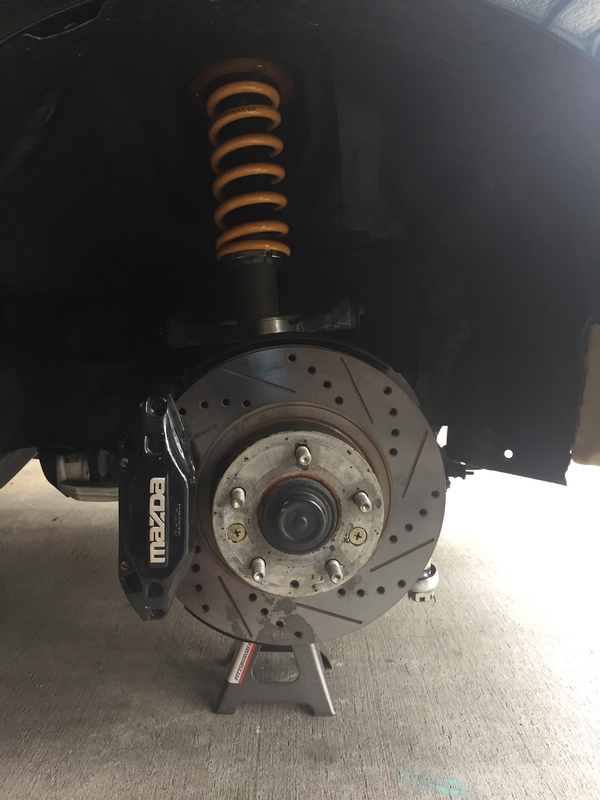 The newly de-powered rack had shorter threads on the Inner Tie Rods by about 1/2". After determining the rack was probably never exactly centered from the factory we adjusted the rack to be slightly off center and BAM! Pillowball Tie Rods worked. 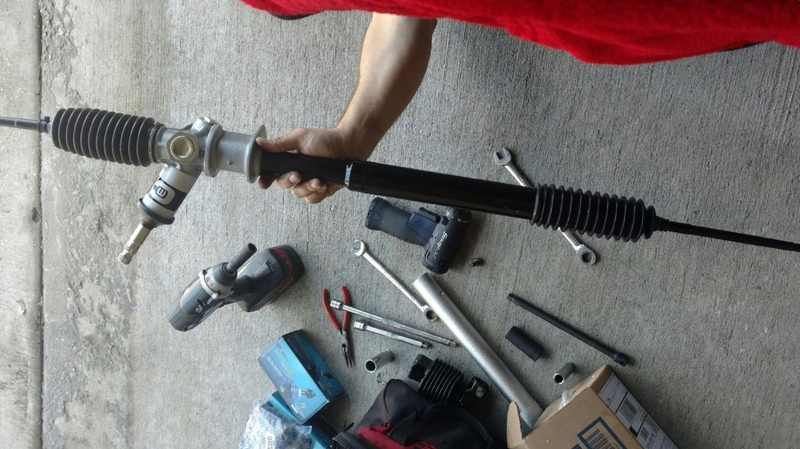 Josh (XLR8) also informed me that the Pillowball Tie Rods are part of Samberg's bump steer kit and are a necessary part of Samberg's Subframe so I am glad I was persistent in re-using them! I had no idea. Note: Steering Wheel turns approximately 1.9 rotations to the left and 1.6 rotations to the right after install. I am very happy with the new rack from Chips Motorsports! 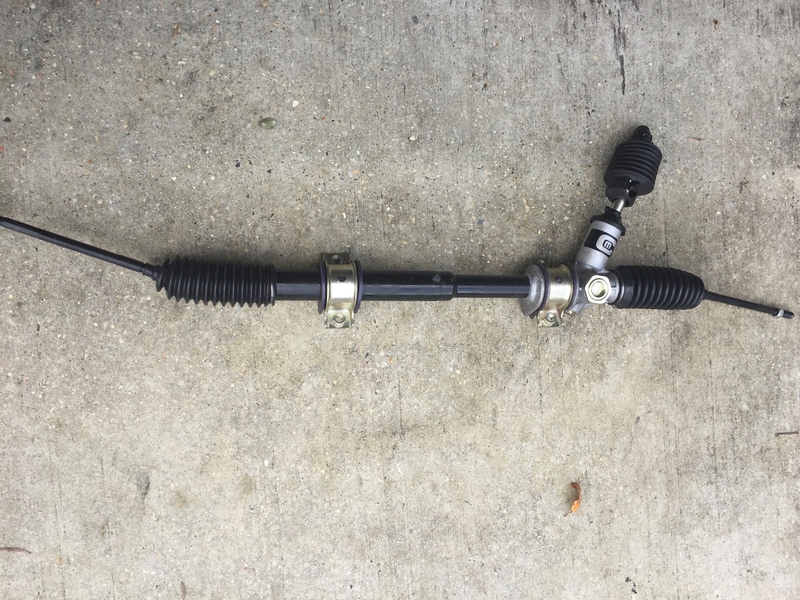 While it still isn't a true manual steering rack due to gear ratio, it is very responsive and requires less effort than my previous rack. I also think once it gets broken in it will be even easier to turn than it currently is. 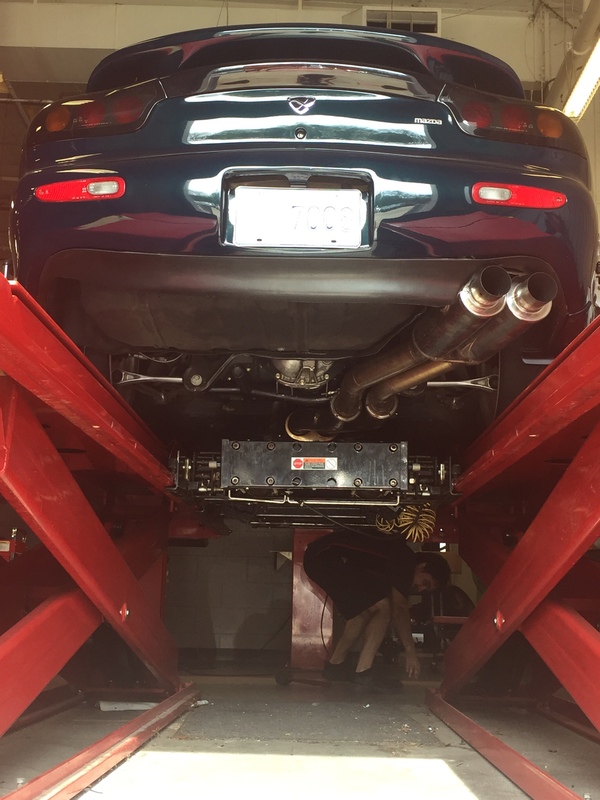 Took 2 more alignments but the guy spent about 6 hrs the second time and it is as perfect as it can be. Only problem is I found out a Camber Adjustment Washer needs replaced. I'll wait for the next alignment! After the Coilovers, Steering Rack, and alignment the car drives incredible and I'm in love with the feel of it now! Now just to get some bigger rubber on the car so it isn't all over the place when you gas it. I'd go wider and taller personally. You have the space to fit them. Just give them a nice 45 second burnout and tell your wife they're bald and need changing.